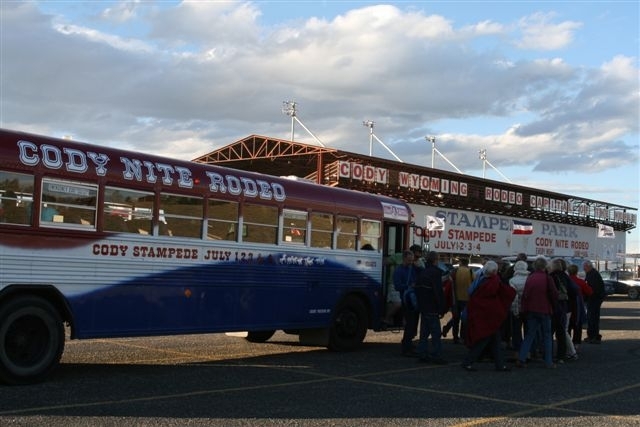 Bus to the Cody Nite Rodeo every night June-August. Stops near most hotels & campgrounds in town. Only $5 per Adult round trip.